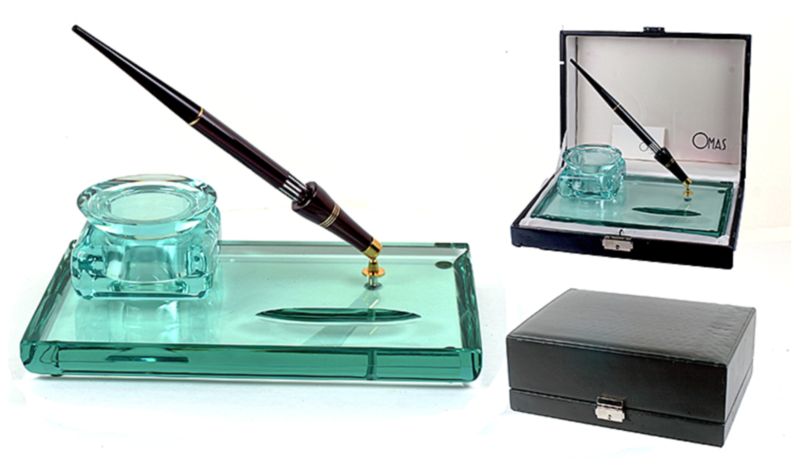 This is a 1936 Omas Extra Desk Set 10″ x 6″ in all Glass (Green Tinted). Has inlaid oval compartment for clips, stamps, etc. Large matching inkwell fits into circular compartment. PIF pen with visualated barrel. 18K medium nib. Strikingly exquisite! New-old-stock. Mint in form fitted box with papers (outside of box has some wear). Check out our Catalog to view this item’s availability! Item #67 in Catalog #85. 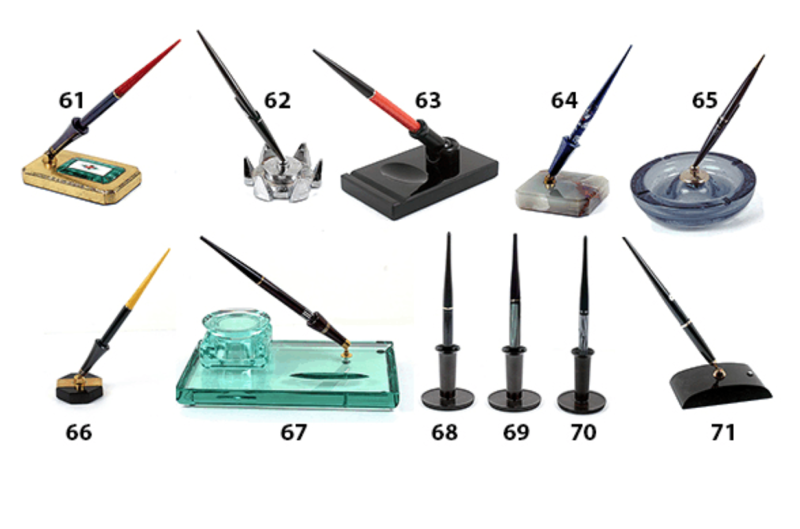 This entry was posted in Vintage Pen, Vintage Pens and tagged Catalog, Catalogs, Desk Set, Extraordinary Pens, Fountain Pens, Go Pens, GoPens, Omas, Vintage Fountain Pen, Vintage Fountain Pens, Vintage Pen, Vintage Pens. Bookmark the permalink. Follow any comments here with the RSS feed for this post. Post a comment or leave a trackback: Trackback URL.